The addition of lift systems are perhaps the most crucial to your ability to stay in your home. 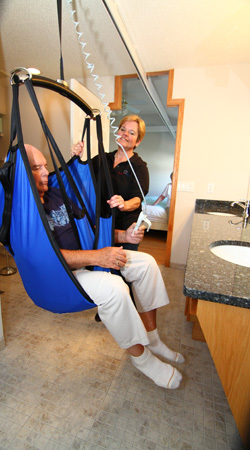 By safely and easily assisting your movement from bed to mobility device or from room to room, lift systems have been designed to require minimal effort and ease of transfer. We will train you on the use of these products so that you feel completely comfortable using them. We use safe, quality and cost-effective products. Our partnerships with licensed and certified specialists along with our extensive training ensure the safety of your use. 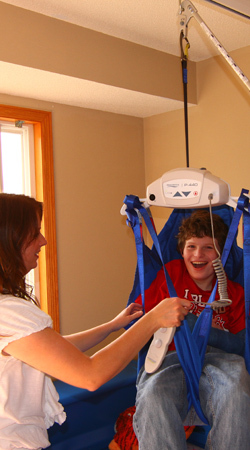 We offer a wide range of ceiling lift systems that are meant for permanent home use. All are designed with ergonomic features including handheld controls. 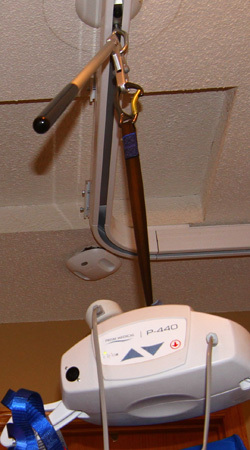 Our fixed ceiling lift systems come in a range of weight capacity loads from 300 pounds to the Bariatric ceiling lift that has a weight capacity of 1,000 pounds. 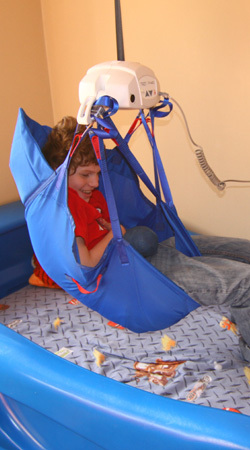 Providing comfort both at home while giving the flexibility to use in other locations, i.e. other rooms, homes, cabins, etc. We supply portable ceiling motor lifts that can be attached to a variety of ceiling tracking systems. As there is no installation or mounting into the ceiling required, these systems are ideal for situations where permanent ceiling tracking systems are not possible, such as rental situations. These systems are lightweight and easily assembled. Essential in the freedom to move about within your home, ceiling track turn tables, provide directional change in the tracking system allowing movement from room to room. Partnering with licensed/certified specialists who use stringent safety guidelines, we'll install VPLs for access to/from areas where a ramp isn't possible, such as from a garage entrance door into your home. An essential addition to your home when stairs are not an option; Stair Chair Lifts provide you ease of movement from one level of your home to another. 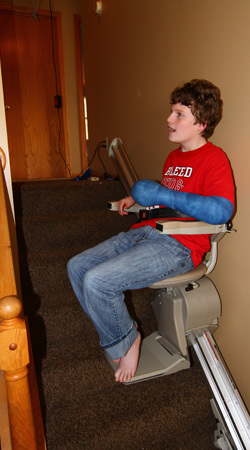 We work with licensed/certified partners who supply safe and durable chair lifts to be installed.